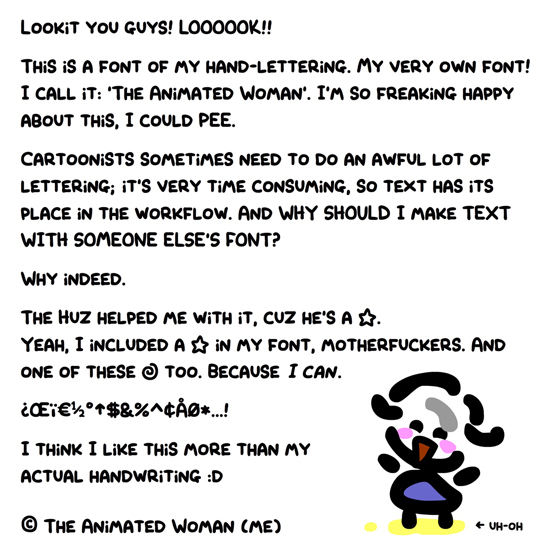 The Animated Woman: Meet my font. Cool! I want a font too! You're just the COOLEST. I mean...THE. COOLEST. Aw well, you know, I'm just sitting here drawing away. Thank-you for saying that Kir. And thank you for the shoutout on Twitter!